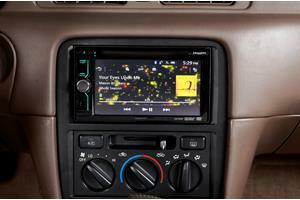 In a nutshell: This article is an overview of your truck's audio system and its upgrade options. 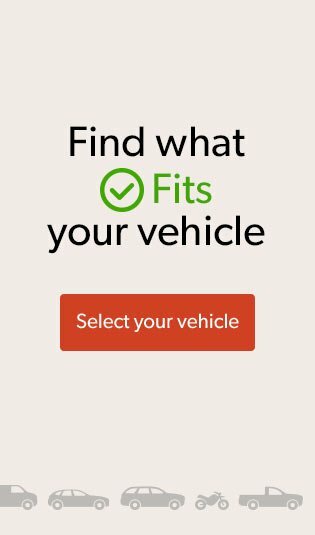 Use our vehicle selector to find the gear that will fit your F-250 or F-350. If the Ford F-150 is America's everyday truck, the F-250 and F-350 are America's workday trucks. When there's a trailer to be pulled over a mountain or a stump that needs to be pulled out of the ground, these big, brawny trucks can do the job without breaking a sweat. Everything on these heavy-duty (or, in Ford marketing-speak, "Super Duty") trucks is designed to be tougher, stronger, and beefier than their comparatively dainty F-150 cousins, from the frame to the axles, to just about everything else. Because these 2005-07 model trucks were so popular, the aftermarket offers plenty of options if you're planning to upgrade the sound system — which is a great idea, by the way. 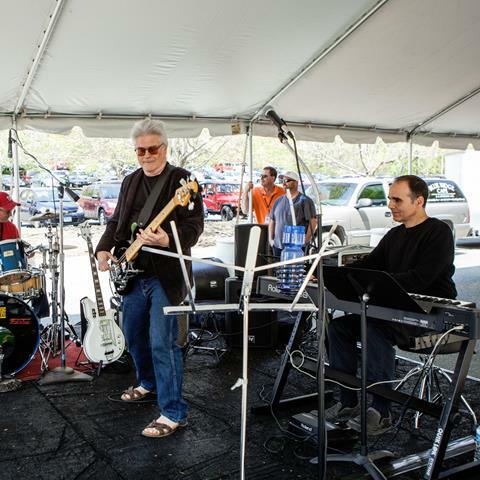 Whether you're hauling a load of lumber to a construction site or towing your boat to the river, a rockin' stereo system makes any trip seem a lot less like work and a whole lot more like fun. These trucks were available in Regular, SuperCab (pictured above) and SuperCrew versions, with the only real difference (stereo-wise, anyway) being the rear door speaker installation details. 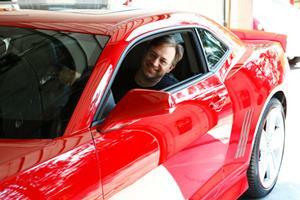 For that reason, we've consolidated all three body styles into this one article. While parts of the F-250 and F-350 seem almost over-designed, the factory radios are basically the same off-the-shelf Ford pieces you'd find on an F-150. These trucks offered trim levels ranging from stripped-down work truck to leather-lined luxo hauler, so the audio options started with a standard AM/FM radio and topped out with a factory navigation receiver and extra speakers. The stock stuff is adequate at best, and, let's face it, powerful vehicles like these really do need equally powerful sound systems. 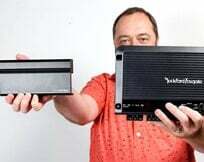 With a wide variety of aftermarket receivers and speakers to choose from, you'll have no trouble finding a combination of gear that sounds great. 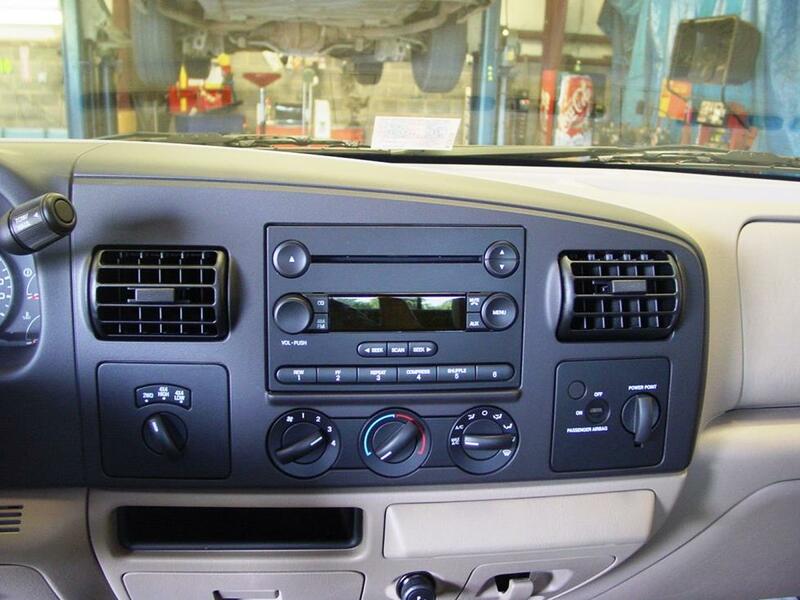 Thanks to Ford's "modular design" philosophy, removing and replacing the radio in these trucks is relatively simple. 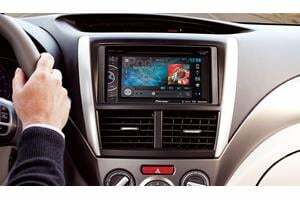 A truly vast array of single-DIN (2" tall) and double-DIN (4" tall) receivers will fit in the space, so you have lot of options to choose from. You'll need a dash kit to help the new stereo blend into the dash, and Crutchfield offers those (and wiring harness adapters, too) at a significant discount along with your purchase. 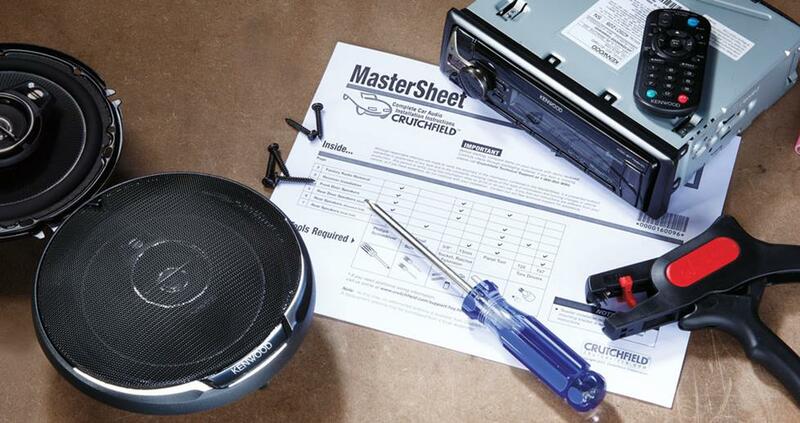 Our illustrated, step-by-step Crutchfield MasterSheet disassembly instructions are included free. All the details can be found in that handy document, but the basics are easy to explain. You'll start by prying around the edges of the cigarette lighter trim panel to release the retaining clips. Be careful while you’re doing this to avoid damaging the clips. 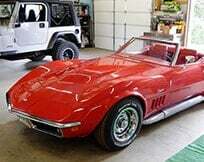 Once that's done, pull out the trim panel and disconnect the wiring harnesses. Remove (but don't toss) the four screws securing the factory radio, then pull it out, disconnect everything, and set it aside. Remove the DIN sleeve from the new receiver and slide it into the receiver mounting bracket, then secure it by bending the metal tabs. Slide the receiver into the sleeve, then connect the receiver wiring adapter to the receiver by following the instructions that come with the adapter. Connect the receiver wiring adapter to the factory harness, plug the antenna lead into the rear of receiver, then slide the entire assembly into the dash and use the screws you removed earlier to secure everything to the dash. Once that's done, all you need to do is test everything out to make sure it's working, then put the dash back together and start enjoying your new stereo. It's relatively easy to retain the steering wheel audio controls when you install a new stereo in your F-250 or F-350. When you enter your vehicle information, our database will choose the adapter you need to make your factory steering wheel controls work with your new receiver. These Ford trucks have front door speakers and rear speakers that are either in the doors or the side panels. The factory 6"x8" speakers are reasonably easy to reach and replace with same-size models or smaller 5-1/4" speakers. 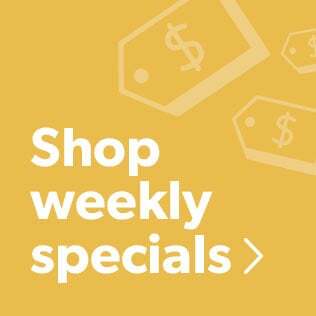 If you go with the smaller models, you'll need speaker mounting brackets, which are included at a deep discount with your Crutchfield speaker purchase. Each front door has a "sail panel," and you'll start the replacement process by prying the panel off and releasing two metal retaining clips. What you do next depends on whether your truck has manual or power windows, but it's not complicated either way. Both versions are covered in the illustrated Crutchfield MasterSheet that's included free with your stereo or speaker purchase. You'll then need to remove the door panel. Pry the off reflector lens from the lower corner of the door panel, then remove the 9/32" screw beneath. Lift the door panel, disconnect the electrical harness (if equipped), and remove the door panel. Remove four 1/4" screws securing the factory speaker to the door, then pull it out, disconnect it, and set it aside. 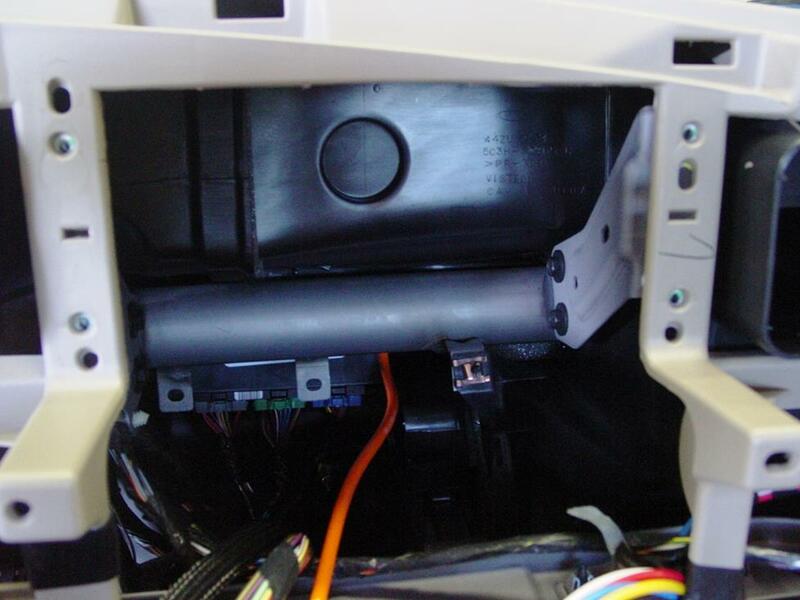 Installing a new speaker is simply a matter of connecting the new one's wiring adapter to the truck's speaker harness, then using the screws you removed earlier to secure the speaker. 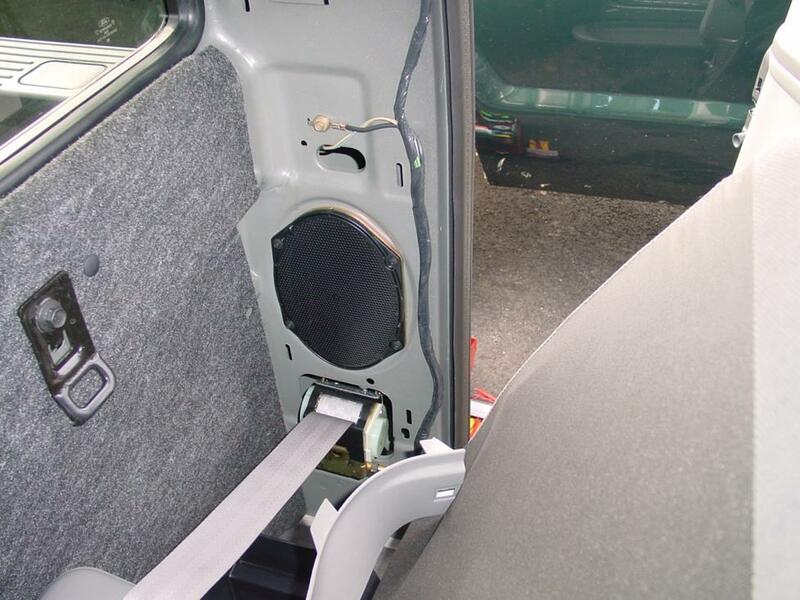 Once you've tested the speakers to make sure they're producing sound, put the door back together. 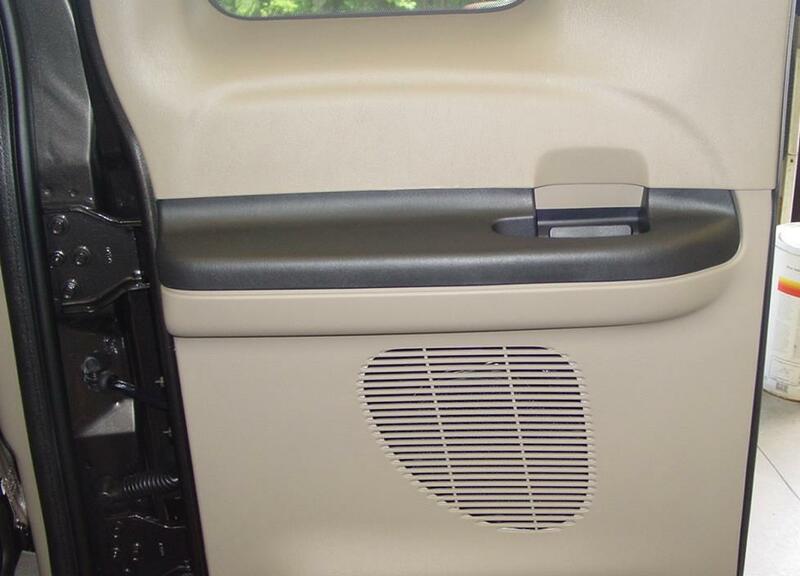 Your standard cab truck's rear speakers are conveniently located right behind your head, in the side panels. These 6"x8" models can, like their cousins in the doors, be replaced by same-size models or smaller 5-1/4" speakers. To replace them, you'll need to pry away some panels and get the seat belts out of the way, but it's not terribly difficult. Starting at the edge closest to the seat, pry up the door scuff plate, release the retaining clips, and remove the plate. 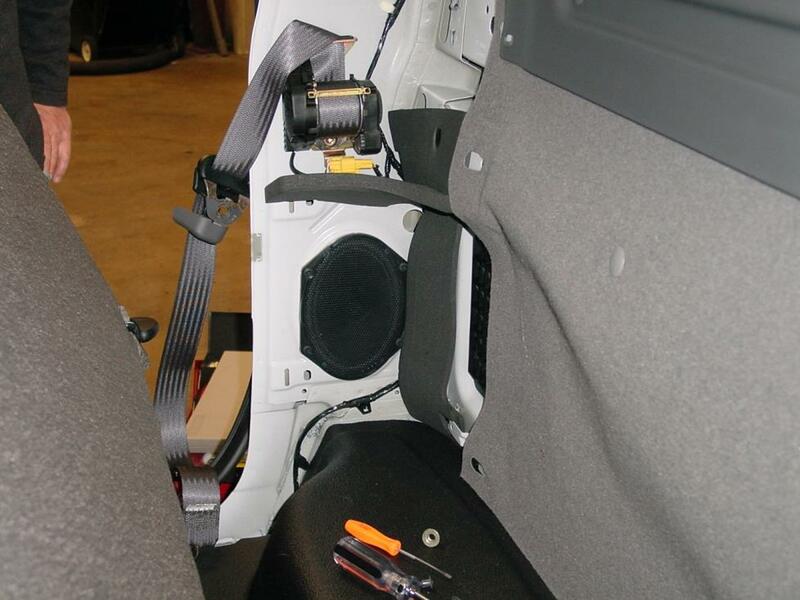 Next, pry open the seat belt anchor cover, remove a Torx T50 bolt, and lower the seat belt to the floor. Starting at the top, pry out the edges of the rear side panel and release the retaining clips that run all the way to the bottom of the panel. Remove the side panel and set it aside. You can leave the belt in the panel, which makes life a bit easier. The speaker is held in place by four 7/32" screws. Remove those, disconnect the harness, then set the speaker aside. As with the front doors, connect the new speaker's wiring adapter to the truck's speaker harness, test everything and, if it works, start putting things back together. For safety's sake, please make sure the seat belt anchors are secured properly before you hit the road. 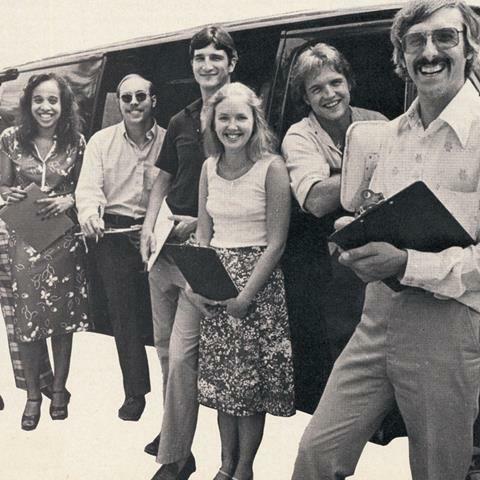 SuperCab trucks have speakers in the small, but quite useful, rear doors. 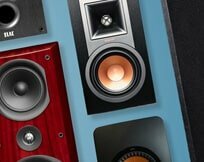 These speakers aren't hard to reach or replace, either, but there are quite a few more steps involved. Be patient, stay organized, and be sure to keep all the screws you're removing in a safe place, because you'll need them later. Complete rear speaker removal instructions for all three versions of the F-250/F-350 can be found in your MasterSheet. On the SuperCrew F-250/F-350, the speakers are in the rear side panels, and the replacement process is quite similar to the standard cab. 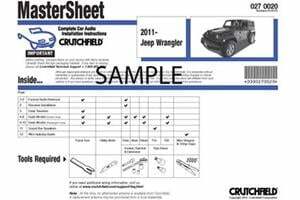 If you run into trouble (here or at any other point in the gear replacement process), just refer to your MasterSheet or call Crutchfield's Tech Support line for helpful assistance from an actual human being. This loaded version is just one of the MTX Thunderforms that fit the F-250 and F-350. Most are available in colors to match your truck's interior. There isn't a lot of space for an aftermarket subwoofer in the Super Duty trucks, but some manufacturers have figured out a way to make the most of what's there. Your best bet is a vehicle-specific MTX Thunderform enclosure, which is available in unloaded, loaded, and amplified versions, all available in colors to match your interior. These powerful subs will give you plenty of bass without wasting much (if any) space. There's also room for a compact Class D amp that will deliver some serious thunder. 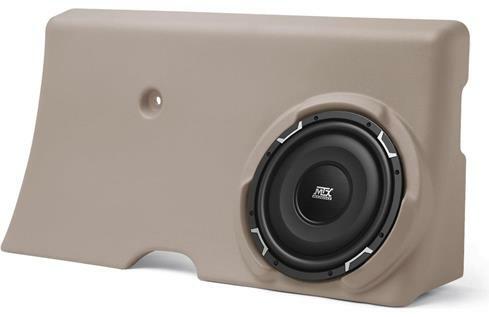 Add a speaker to this custom pod to improve your truck's sound. Here are a few more great ideas for your F-250 or F-350. Crutchfield can help make your truck sound its best. 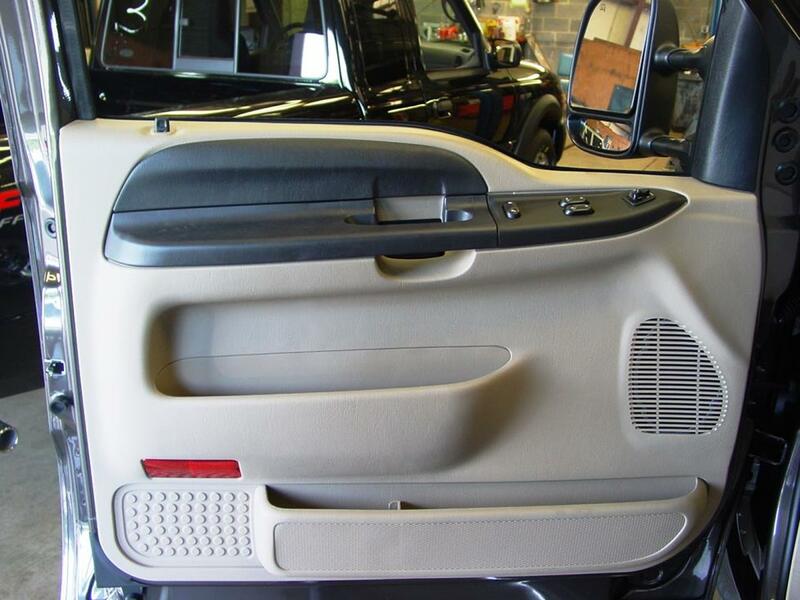 If you're looking for more ways to improve the sound in your F-250/F-350, consider a set of Q-Forms Kick Panel Pods. 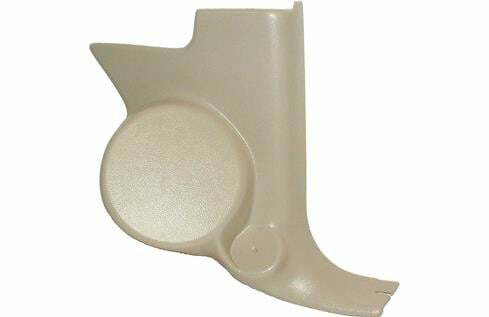 Available in a variety of colors to match your truck's interior, Q-Forms are designed to hold a 6-1/2" component speaker system. 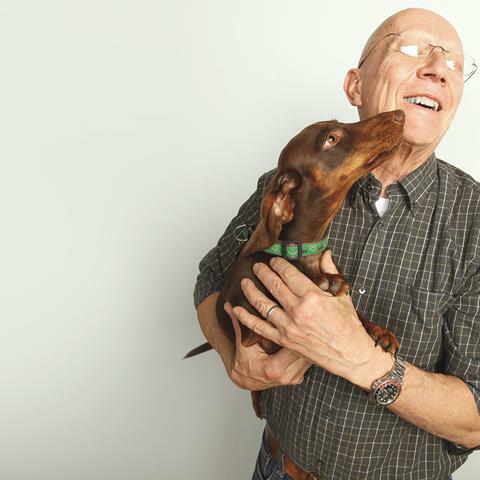 This installation isn't "plug and play," but the results will be impressive. You'll need to cut the factory kick-plate to join with the Q-form, plus you'll need to cut holes for the speakers. 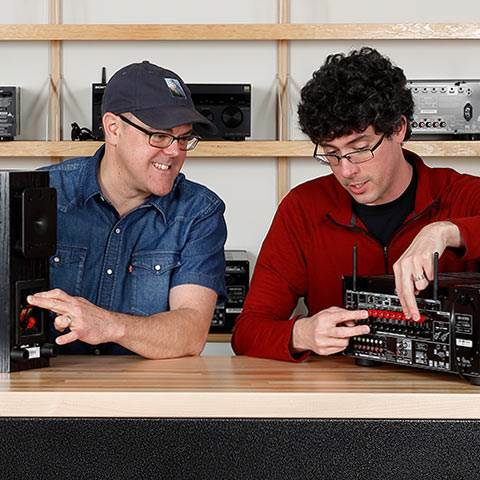 Instructions are included, but you'll need to supply the tools, skill, and experience. 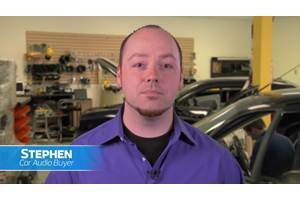 This could be a job for a car audio professional, but if you really like music, it's definitely a job worth doing. No matter how much you pamper your truck, you're eventually going to get involved in some sort of truck-like activity that gets you and/or it dirty. When that happens, it's a good idea to have a set of WeatherTech Floor Mats in your truck. These incredibly durable mats trap moisture, contain dirt, and keep your factory carpets looking good. 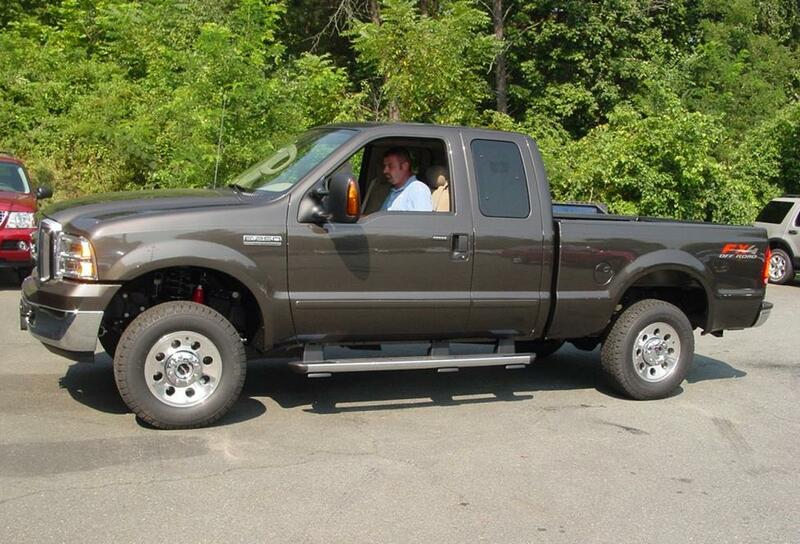 Ford Super Duty trucks are enormous vehicles with enormous doors and the aerodynamic profile of a municipal building. To prevent wind noise and road roar from drowning out your new stereo, install Dynamat when you replace your speakers. This soundproofing material is a great way to dampen the sounds you don't like and get more enjoyment out of the ones you do. For more information on installing Dynamat in a pickup, check out an informative series of articles on our 2004 F-150 project truck. The details are a little bit different, but it's a great way to see the kinds of audio upgrades that are possible in a Ford pickup. Installing a security system in your truck isn't easy (Security systems are almost never easy...), but it's definitely a good idea for any Ford pickup. It's also a good idea for your trailer, by the way, whether it's an open or closed model. 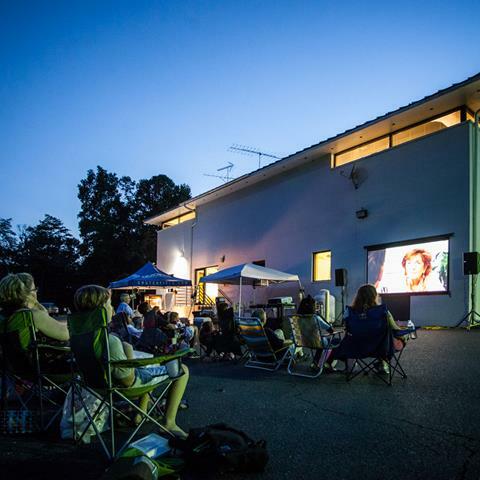 We've all heard the stories of trailers disappearing overnight, so don't be the next victim. Our Crutchfield Advisors can help figure out what you need to get the job done, but we usually recommend taking your car and new gear to a professional installer. Perfect! I'm buying an F-350 SuperCrew that I think has a basic A/M-F/M radio and two front door-mounted speakers... needs improvement! I'll be using this article as a guide to assist me in deciding how and what to upgrade in my new truck!